Few people know that there was a major aerodrome near Paris more than a century ago. Though Louis Blériots’s Aeroparc contributed a lot to aviation history, it was demolished in 1970. Villagers, aviation fans and historians made a decision of renovating the remains of this aviation temple which. There used to be a splendid video reconstruction which unfotunately no longer exists. 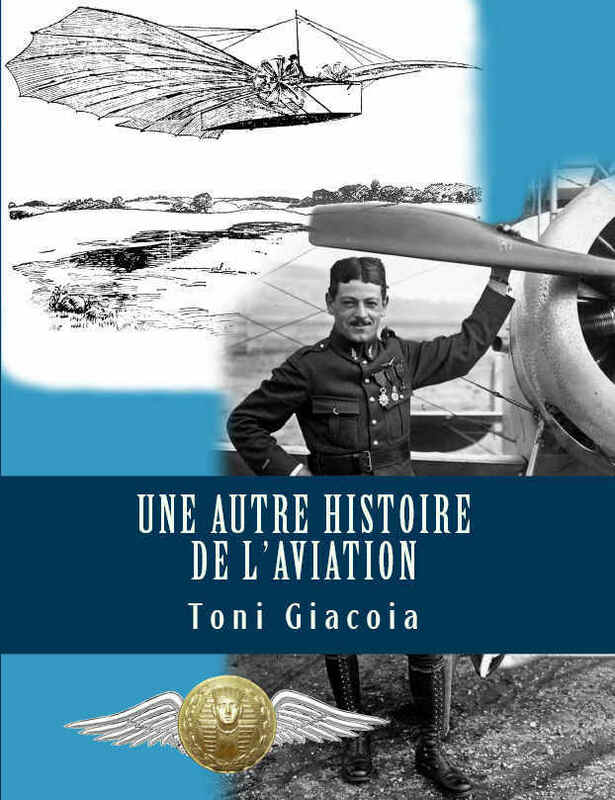 For the 100th anniversary of the English Channel crossing by Louis Blériot, a well-documented publication was released in 2009 – « Buc à travers l’aviation« . A Mirage III R was given too, by SECAMIC company. This Dassault recce aircraft can be seen in Avenue Jean Casale between Buc and Toussus-le-Noble, France. The Buc citizens could proudly look back at their prestigious aviation past as Buc and Toussus-le-Noble airfields used to be an aviation history cradle. 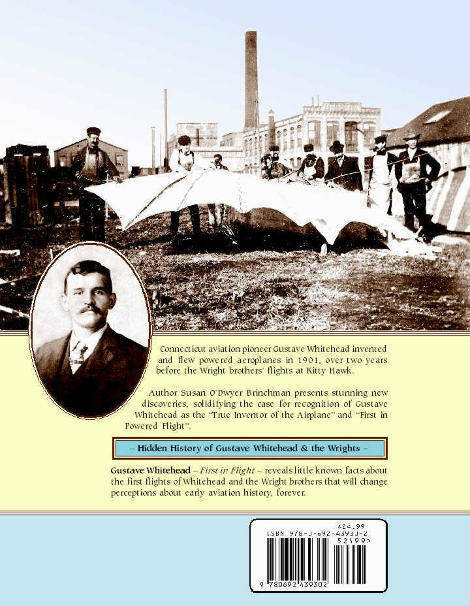 Villagers and historians wanted to value their aeronautical heritage in 2012 and they made a decision of setting a renovation project of Blériot’s Aéroparc entrance which is located at the beginning of Guynemer Avenue. Many documents from archives allowed them to incentivize an accurate reconstruction. 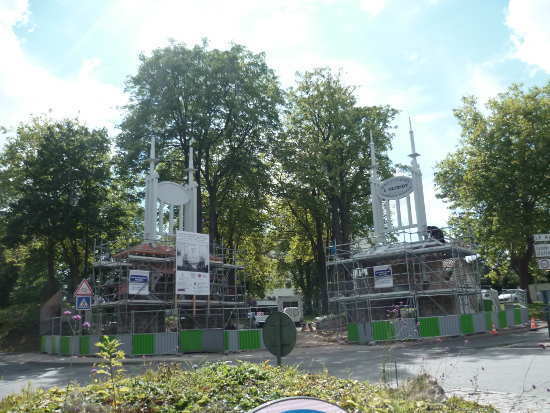 As the pictures show, the renovation works have already begun as of September 2, 2015. At the same time, the statue erected to commemorate Jean Casale (1893-1923), WWI ace and Blériot’s test pilot et pilote d’essai aux établissements Blériot, will also be restored for it has been damaged by the effects of time. As far as the Mirage III R is concerned, it would also need a new coat of paint. You can support this work to renovate this important remnant of aviation history by making a tax-deductible donation at a rate of 60% through the Heritage Foundation (Fondation du patrimoine). Please, click on the link hereafter to see the project: https://www.fondation-patrimoine.org/fr/ile-de-france-12/tous-les-projets-593/detail-aeroparc-louis-bleriot-de-buc-13201 and it is possible to download the donation form at : http://www.mairie-buc.fr/images/stories/newsletter/novembre2012/bulletin_de_souscription_BUC.pdf. Louis Blériot won international renown as well as his presence at the very first Paris Air Show (Salon de l’Aéronautique which occurred at « Le Grand Palais » in Paris instead of Le Bourget) in late 1909 thanks to his Channel crossing on July 25, 1909. He had crossed the English Channel on his Blériot XI monoplane which is still exhibited at the Musée des Arts et Métiers. Accordingly, Blériot-Aéronautique received a lot of aeroplane orders since then. Louis Blériot wanted to open a flying school. He established his school near Paris, to the south of Versailles on Buc airfield in order to train pilots and test new flying machines. It was inaugurated on November 13th, 1912. 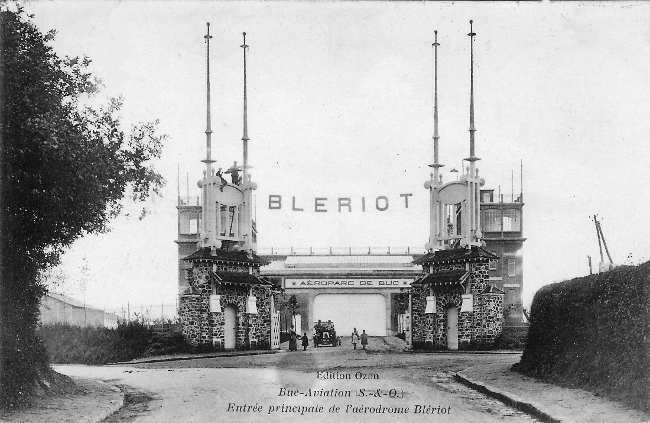 The whole airfield and compound was called Aerodrome Louis Blériot. The airfield was very active during WW1 thanks to its SPADs, then in the 1920s. The downturn of the Aéroparc started when Louis Blériot passed away on August 2, 1936. Aéroparc Louis Blériot was occupied by the German troops during WWII and was bombed by the Allies several times in 1944. The Aéroparc facilities were given back to Blériot-Aéronautique but it was left in tatters. The movements stopped in 1966 and it was closed down in 1970 before being demolished a few years after. The remnants of the monumental gate were all that is left from this exceptional past. Therefore, the Aéroparc renovation aims at valuing this site’s aviation history heritage.